John was the eldest of 4 siblings born to John and Rhoda, nee Davies. One of the siblings was a child born to Rhoda before she married John senior, a son named Thomas Davies, born 1887 in Caterham. Mabel Lily b.1897 and d.1969 Southampton. Married Arthur G Medway in Southampton in 1917. Ethel May b.1901 and d. 1985 Southampton. Married Albert J Sainsbury in Southampton in 1922. Albert Cecil Hugh b.1907 and d.1988 Southampton. Married Helen L Hall in Southampton in 1929. The younger John married Maud Louisa Young in Southampton in 1916, perhaps whilst on leave. They lived at 55 Forster Road, Bevois Valley. In 1917 Molly Mary V was born to the couple. It is not known if her father ever saw her. Maud died in Southampton in 1968, having married James A Cave in 1921. Molly, who married twice, died in the city in 1998. John junior died on the first day of the First Battle of Arras. At 03.00 on 28 March the stillness was shattered by the chaotic din of a terrific German bombardment. Their infantry attacked at 07.00 and was met by devastating fire from British artillery and machine guns. John is remembered on the Arras Memorial (Bay 6), France. 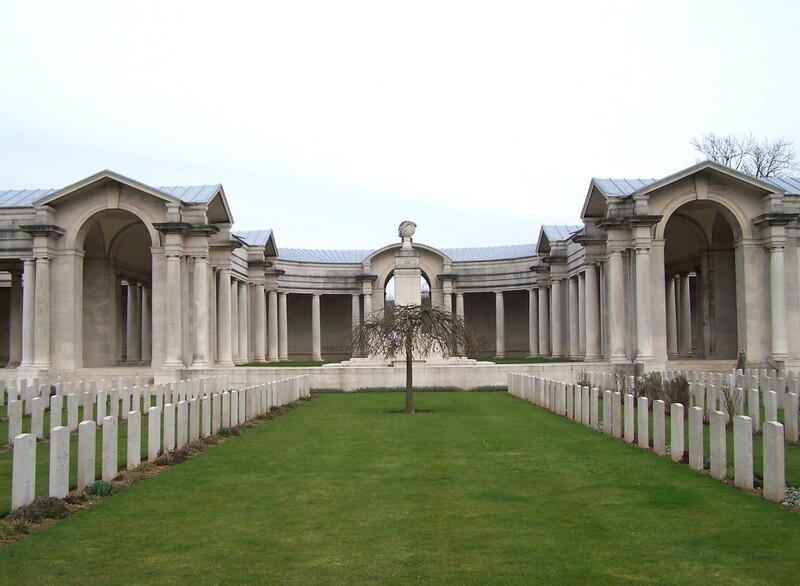 This Memorial commemorates almost 35,000 UK, South African and New Zealand servicemen who died in the Arras sector between the Spring of 1916 and 7th August 1918 and who have no known grave.